When you start an app on Xbox One, you see the splash screen for a few seconds before being sent back to the Home screen. If the app is available on the Home screen—in either the big center tile or one of the four "most recently used" tiles—highlight that tile with your controller (but don't select it). Once you're sure the app is closed, re-launch the app by selecting it from the recently used tiles or from My games & apps. If the app doesn't start, try the next solution. 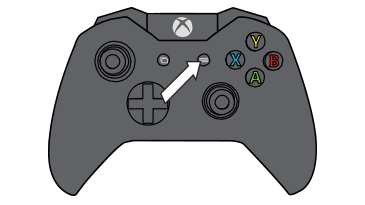 Note Pressing the Xbox button opens the guide from any screen on the console. Try to launch the app again. Note If you're unable to access the guide or if the console appears to be frozen, press and hold the Xbox button on the console for 10 seconds, until the console turns off. After the console shuts down, touch the Xbox button on the console again to restart. Try to launch the app again. Highlight the content you want to uninstall. Would you like to contact Support regarding the "An application won't start on Xbox One" issue you were reading about or a different issue?